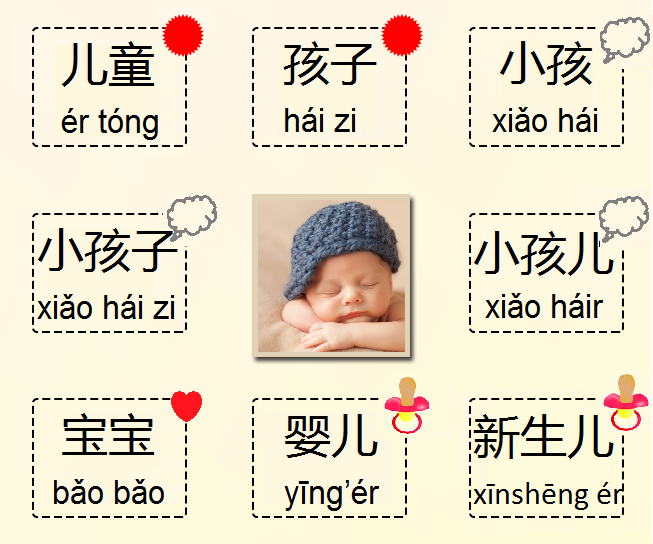 In Chinese language, there are many synonyms for the word "child". 儿童 and 孩子 are formal words. In colloquial speech you may hear 小孩，小孩儿 and 小孩子. 婴儿 means "infant" and 新生儿 means "newborn". 宝宝 is an "affectionate" word.